As in previous years, Gamescom took place in Cologne with almost 355’000 visitors. Young and old, male and female, exhibitors, trade visitors, private visitors and press. All poured through the halls and aisles and a lot of them stood in line for up to 6 hours to play their favorite game before it’s released. There were several awards given to games as every year. My favorite areas this year were the enlarged Family & Friends corner as well as the Indie Booth and the retro gaming booth that were both larger then before and had just as many visitors. It was nice to see all the children and teens playing on the old machines, that brought the world of computer games to me, some 35 years ago. Gamescom was a bit different for me this year as most of the German Sims Community was missing. 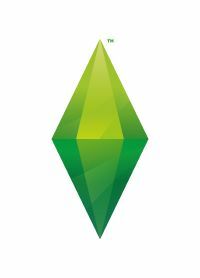 There wasn’t much to see about Sims 4 and hence there were no invitations from EA Germany. Luckily I was able to be part of the EA business Lounge anyways and I could get some first impressions on The Sims Mobile and The Sims 4 for console. Unfortunately I can’t say much to Sims Mobile yet as most is still under embargo. On the show floor I got a look at some more games that I would also like to talk about. The game studios had lots of ideas how to present their games and each booth had it’s own charm. My favorite goes to Blizzard this year for Heart Stone. I didn’t play the game myself and only watched from a distance since it doesn’t look like a game that had enough appeal for me to be worth to stand in line for a hour. Another game that draws a big crowed each year is the farming simulator from Giants Software as they always give out a lot of swag. I was able to get a little stress ball cow myself. The tested game was still in early pre-alpha. There’s a lot that can still change until the final release in November. I couldn’t resist to check out the Sims 4 for console, although I’m not a console player and gamepads are something I’m having a hard time with. Michael Duke (SimGuruDuke) was very nice and took the time to answer all my questions. The console version is identical to the PC/Mac Version with a few minor changes. I personally like that but others may have preferred their own version like Sims 3 had. The controlling of the game was extremely difficult for me but although there was a guide, I don’t even know which button is which as there are so many these days. I believe that this element should not be a problem for console players. Building with all it’s fineness might be a bit tricky though. The graphics looks like PC on it’s highest settings but there could still be some changes to that. Everything is controlled through the pad and because of that, some changes on the GUI are visible right away. The tabs are colored green to visualize that you can switch between the tabs by pressing one of the buttons and some of the buttons (like the randomizer button in CAS) have been moved to a different space on the screen. The area in the middle of the game pad lets you switch between the GUI and the game itself. There’s even a cursor. Names in CAS can be typed in through an OnScreen keyboard. I also noticed the lack of options menu in the GUI but there are of course options for the console version. Those can be reached by the options button on the game pad. They are a bit slimmer than the PC Version as there are some things like graphics options that are simply unnecessary on the console. In the console version you can’t have your own music on the stereos as the lack of easy access to the file system makes that difficult. There will be also no Gallery and no support for mods/cc. Conclusion: Players that already have the PC/Mac version will not need the console version as well. Console players that have been eying the the PC/Mac players with envy, will get the game on their platform of choice and have fun with it. Sims Mobile was only available to play on the show floor the first two days but I didn’t really get a chance to see that. Luckily I was able to participate at the presentation in the EA Business Lounge and could play for two hours afterwards. Any info about the game itself is still under embargo but I would like to give my first impression already. For me, an actual PC Version Sims feeling wasn’t there, which gives me the impression that the target group is more the mobile generation then the simmers that play since 2000. I do have to say that something went wrong with the settings for me, so that the two hour game play was a bit frustrating as I didn’t get far. On playing again the next day, I had a lot more fun. Sims mobile is a target-oriented game with the main goal of unlocking stuff. If you don’t want to get everything right away, you can play the game without spending any money. I’m guessing my 10 year old daughter who can’t wait for the game to be released will like the game a lot. After two Annos in the future, that completely by-passed me, I was glad to hear the announcement about a new Anno that’s taking place during the industrial time. I was able to get into the presentation about that. Since the game is still in early development, there was nothing to play at Gamescom. The game is scheduled to be released in winter 2018 for PC and is supposed to be more ‘back to the roots’ with campaigns, a more developed diplomatic system and also the fighting system is going to be back on the map. The endless game mode will also be part of the game. BlueByte has made the decision to place the new anno in the industrial time as it gives them a lot of possibilities and it’s also a long-time fan wish. The presentation had quite a lot to show that is planned for the final game. From goods transports from A to B like we’re used to from older versions, to railways, zoos and riots and strikes that can lead to fights with the police. The zoo can even be freely created by the user. Discovering the world and fights with others (single and multiplayer) are also part of the game and I have to say the game looks really promising. The early announcement of the game has of course a reason. Bluebyte wants to involve the player into the development process. They have founded the Anno Union for that and everyone is welcome to register and give their opinion on how the game should be. There will be polls but also early game testing by active users. Working together is the slogan and I’m really interested to see how it will all turn out. Life is Strange is one of the biggest surprises of the past years. Although many have recommended the game to me. I had not dared trying it because of the camera movement and my motion sickness. At Gamescom they had part of Episode 1 of the the prequel to play and since there was also a goodie bag for playing, I decided to try it. As passionate adventure gamer the game itself really suits my taste, the 3D-setting not so much, but it was okaish. I had to move slowly but the atmosphere immediately caught me and soon the discomfort I was feeling faded away. The Gamescom demo shows how Chloe wants to visit a concert in a bar and has a run-in with some shady people and is saved by Rachel. Decisions you make in the game have a great influence on how the game goes on, which is shown by a little warning. In the demo there was one such decision. Since the demo was rather short, I couldn’t tell what those consequences were. The game tells a story and puzzles known from classical adventure don’t seem to be the main aspect. There are some like how to get a T-Shirt without money but I don’t know how important those are for the game play. Episode 1 of the 2015 released game can be found on steam for free. Get it to try out if the world of LiS is something for you.